You may already noticed that the Airbit embed Flash Player is not showing up on a Soundclick Page anymore. This is not caused by Airbit or any Flash Problem. Soundclick blocked the Player with a Content Security Policy (CSP) Script. We strengthened some security settings site-wide. Among those added settings was a block on all Flash objects, they are simply not secure. 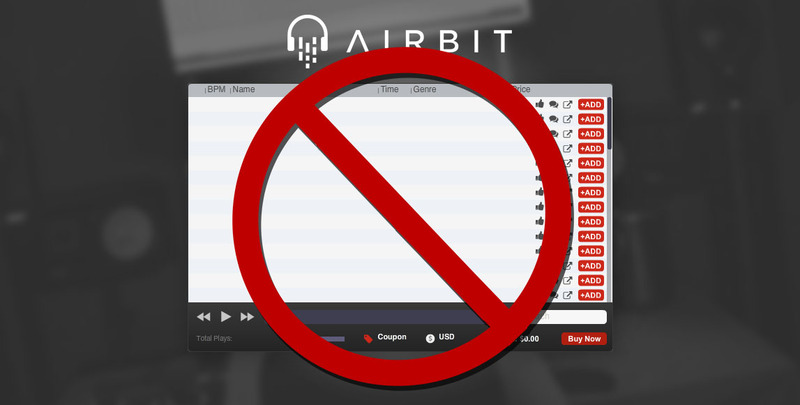 For now we have white-listed the airbit player, so they work. But in the next version we will no longer allow Flash objects of any kind. These Server Settings can not be edited or overwritten by us. If you want to use an instant download Beat Store on your Soundclick Page, please use the Soundclick License Store as this is the only one working right now. Check our new Soundclick Store Desgins right here. If you want to keep on using Airbit or Beatstars as your Beat selling Platform, we suggest using a Soundclick Landing Page and a Website including a HTML5 version of the Beat Store. We do provide premade and custom Website Solutions in different forms, from a $25 static Website, to a One-Page HTML Website or an advanced WordPress Websites. Get your Website for $25 one-time payment only!